Are you a diver, seafood lover, or passionate about the environment? Learn about ways to support control efforts by removing lionfish, eating lionfish, and educating others about the effects of lionfish. The current most-effective way to remove lionfish is by divers using spearfishing equipment. Participate in a lionfish tournament. Lionfish tournaments can significantly reduce local lionfish populations and they are a great way to meet other divers and get involved in the Florida lionfish community. 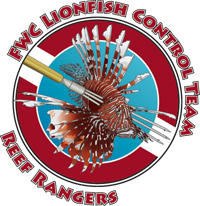 Participate in FWC’s Lionfish Harvest Charter Program. Goal: Provide an incentive for dive charters and dive shops to conduct lionfish-specific harvesting trips in an effort to increase the number of divers safely and confidently removing lionfish and to increase the number of lionfish removed from Florida waters. Sell lionfish harvest to the commercial market. Divers must possess a Saltwater Products License to sell commercially-harvested lionfish to a licensed Saltwater Wholesale Dealer. Learn more about FWC’s Commercial Saltwater Licenses. Wholesale dealer interested in selling lionfish? Contact us to be added to our list of Florida Lionfish Wholesale Dealers. Organize a lionfish removal event from an area where spearfishing is otherwise prohibited. FWC issues permits to dive clubs, tournaments, and other organized events to remove lionfish from areas near public fishing piers, jetties, or areas that otherwise prohibit spearfishing activities. Contact Lionfish@MyFWC.com to learn more and apply for a permit. Lionfish have become a popular food fish. The fillets are firm, white, and flakey in texture and have a mild, non-fishy taste that is comparable to snapper, black sea bass, or hogfish. While the spines of lionfish do contain venom, the flesh of a lionfish is not venomous or poisonous. Watch a video on how to safely fillet a lionfish. Lionfish can be found at many restaurants, seafood markets, and grocery stores across Florida. View a list of restaurants that previously or currently serve lionfish. Help educate others to increase awareness about invasive lionfish and their effects on native species and habitats. Share FWC’s lionfish brochure or contact Lionfish@MyFWC.com to request copies to distribute at your public facility. Donate to Florida’s Lionfish Outreach and Control Programs by supporting the Fish and Wildlife Foundation of Florida. Visit a lionfish event near you to participate in awareness and control efforts.